Bacteria and other baddies can hide out in unassuming places. And while you may be diligent about washing your hands and keeping certain surfaces sparkling, there may be other areas that you're forgetting to clean. 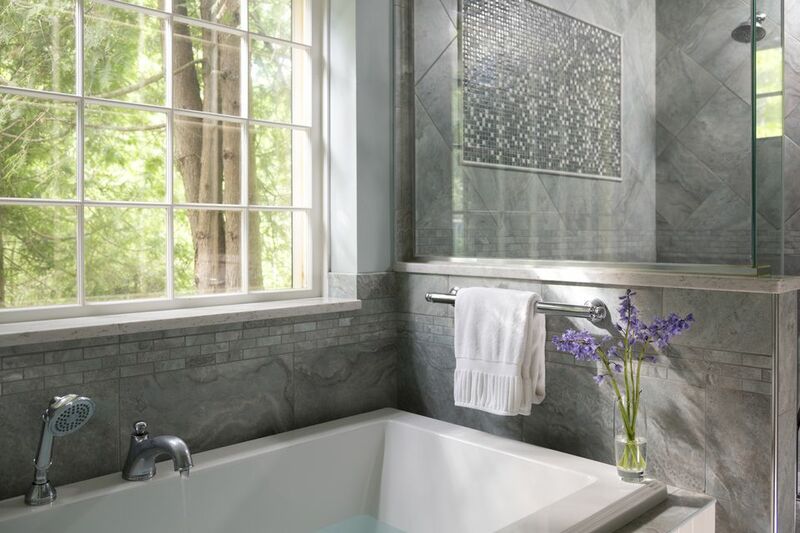 We've rounded up common problem areas and how they can affect your health, plus how to correct them to create a healthy and happy bathroom. The bathroom is the perfect incubator for the growth of mold and mildew. There is plenty of humidity and body soil to encourage growth. 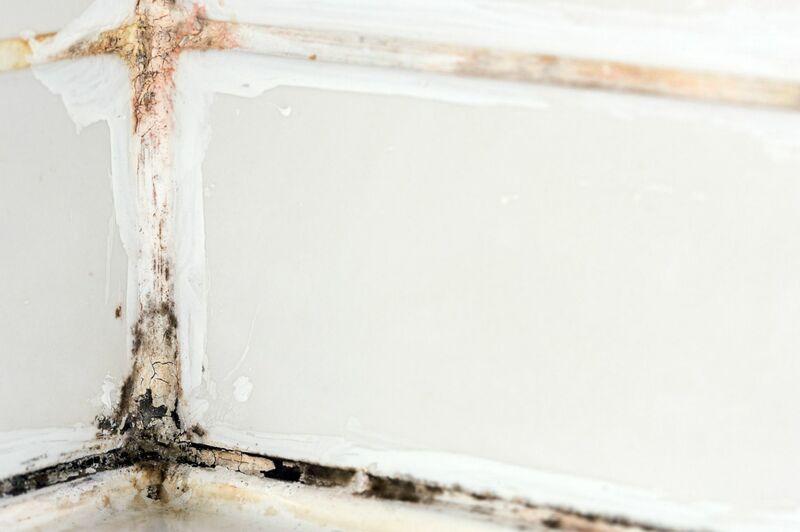 Mildew is a mold and while unsightly, it is usually not extremely toxic. It does spread quickly on surfaces like fabrics, grout, caulk, and painted surfaces through spores and can irritate breathing. So, if it appears, it is best to treat quickly. The best way to reduce the growth of mildew and more toxic molds is to decrease humidity by increasing air circulation. The bathroom vent should be run for at least 20 minutes after a steamy shower. Allow towels and shower curtains to dry completely and as quickly as possible after every use. Not everyone is diligent about washing hands after each trip to the bathroom. And hands can be pretty dirty when you simply open the door and switch on a light when you enter the room. Door knobs, light switches, and faucet handles can be covered with body soil, mold, yeast, and bacteria like E.Coli and Listeria that can make family members very ill.
Keep some disinfecting wipes on hand and give everything a quick wipe down at least once per day. Do it more often if anyone is suffering from a cold or virus. A bathroom fan or vent is essential for removing the excess moisture that accumulates after a steamy bath or shower. But is it working correctly? If the fan is not vented properly to an outside exhaust system or the interior is covered with dust and mold, it may be recirculating dangerous particles that can cause breathing problems for anyone with asthma or allergies. Hard water, or water that contains high levels of minerals like calcium and lime, can cause unsightly spotting on bathroom fixtures. But if water contains certain chemicals or bacteria, then it can be harmful to your well-being. Older homes often have metal pipes that have been connected with a lead solder or solid lead pipes. The lead breaks down through the years and leeches into the water. Lead is especially harmful to young children with developing brains and nervous systems. Chlorine is commonly added to municipal water systems to control bacteria. Excessively high amounts can aggravate asthma and bronchitis symptoms if inhaled during long, steamy showers. Consider adding a showerhead that contains a replaceable filter. Water testing kits are available through local health departments or purchased online to determine if your water is making you sick. Showerhead nozzles can become clogged with soap scum, but that can easily be cleaned away with distilled white vinegar. The bigger threat with showerheads is what they may harbor inside. Researchers at the University of Colorado have found that showerheads can cause microbes like Legionella pneumophila and Mycobacterium avium, nontuberculous mycobracteria, to become airborne. These are particularly harmful to those with lung disease or weakened immune systems. Shower brushes, scrubbing poofs, and loofahs are great for removing body soil and dead skin cells. They are also great at harboring all that soil, yeast, and bacteria so that the next time you use them you are spreading it all back onto your skin. If you use these to briskly exfoliate every day, you may create micro-tears in the skin making it even more susceptible to bacterial infections. After every use, the scrubbing tools should be washed with soap and rinsed well. Remove them from the shower and hang to air dry where there is good air circulation. Toss them in the washer often for a thorough cleaning. Having to do less laundry is always a good thing and bath towels can often be used more than once if they are allowed to dry completely between uses. The problems begin if bath and hand towels and bath mats are shared or not washed often enough. Athlete's foot can be transferred through bath linens as well as E.Coli and bacteria if hands are not washed thoroughly. Hand towels should be changed daily and disinfected properly especially if someone in the household is ill. Makeup brushes, facial brushes, eyelash curlers, tweezers, and manicure and pedicure tools all come into direct contact with our skin and body fluids and can easily become contaminated with bacteria that can cause skin irritation or worse a staph infection. Candles create a restful and even romantic mood in the bathroom. But they can also release dangerous chemicals like benzene and ketones. The problems come from candles made from paraffin wax which is manufactured from petroleum which releases hydrocarbons. Read labels because candlewicks made in the United States are required to be lead-free but those made in other countries may still contain lead. Heavily-scented candles can cause additional irritation to those with allergies and asthma. Candles made in the USA from beeswax or soy and those without wire or metal in the wicks are the safest. When burning any candle in a small space like a bathroom, make sure there is good air circulation to alleviate health problems. Bathrooms are small spaces and using harsh chemicals for cleaning can cause breathing problems and when some are mixed together, toxic gases can cause death. Never mix ammonia and chlorine bleach and always turn on fans to increase air circulation when cleaning. Just as candles can add a nice scent or mask a not-so-pleasant one in bathrooms, many of us like to use air fresheners. Unfortunately, they can cause problems as well. The National Institute of Environmental Health Sciences has found that many contain 1,4 dichlorobenzene, a volatile organic compound, which is linked to reduced lung function. If you have a home built before 1972 with vinyl tile flooring, it may contain asbestos. The biggest threat comes if the flooring is cracked or if you decide to renovate and remove the flooring. Asbestos is a known carcinogen. Almost all vinyl emits volatile organic chemicals (VOC) but increasing ventilation during installation and for a few weeks when it is done will help them dissipate. There are vinyl flooring options that are manufactured to meet strict standards for indoor air quality. You can help offset problems by selecting a low VOC vinyl and adhesive and using a qualified installer.